Asus RT-AC88U is the new Asus high range wireless router. At close to RM1800, it is not exactly affordable. It is an enthusiast level router which promises a high level of performance and stability. The design of the router is very nice with red highlights. There are 4 external detachable antennas. Asus RT-AC88U come with 8 Gigabit Ethernet ports. Yes, 8 Gigabit Ethernet ports. It is very handy if you have a lot of wired Ethernet devices. Wireless performance is absolutely amazing on the Asus RT-AC88U. It comes with support for Wireless AC3100. The signal strength, stability and performance are excellent. Wireless performance is the most amazing part of this router. I am able to achieve Gigabit-speed over the 5Ghz band in a short distance test. Even on longer distance, I am still able to achieve a respectable 600Mbps. On the 2.4Ghz band, I am still able to obtain a respectable 480Mbps in a short distance test. 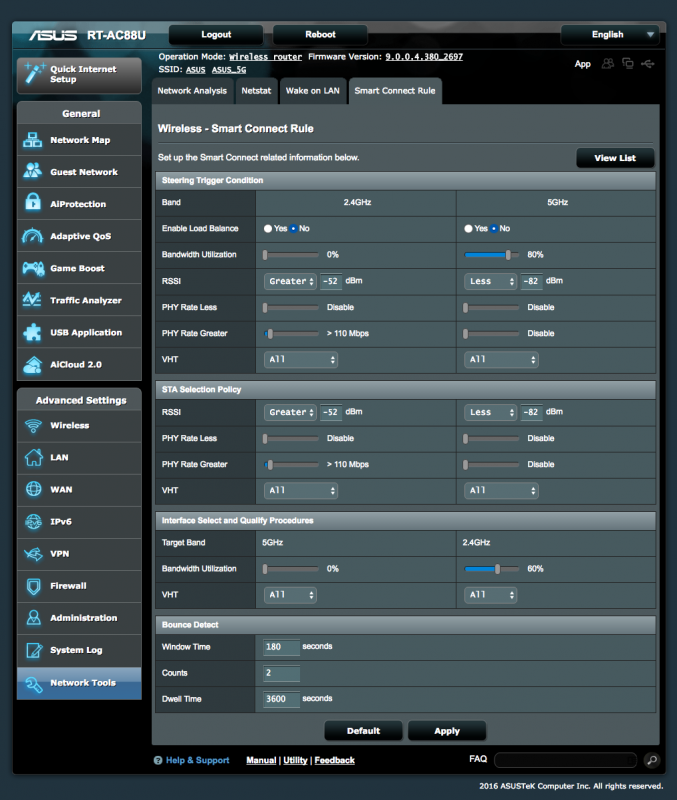 All of this is benchmarked with the recently released Asus PCE-AC88U to test this router to the full potential. Asus added the smart connect feature on this router. It forces the wireless client to the appropriate frequency sort to reduce congestion and improve performance sort of like an enterprise level wireless access point. It works quite well on my test, my phone transition from 5Ghz to 2.4Ghz smoothly as I walk further from the router. I recommend this router to those using the Time Fibre 500Mbps plan. The wireless performance is really good on this router and you will have no issue achieving the full speed. Since this is a MU-MIMO ready router, it will be compatible with MU-MIMO devices in the future. The Samsung Galaxy S7 and S7 Edge are examples of MU-MIMO ready device. The firmware on the RT-AC88U is the usual ASUSWRT which I had reviewed many times before. It is still the same over here and no significant changes have been made. 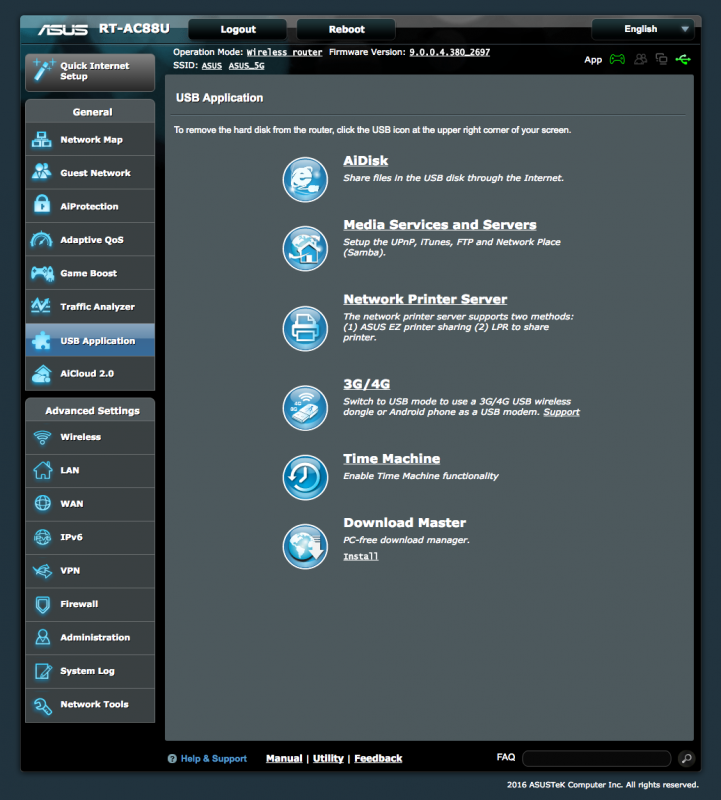 The home page is very functional with the homepage providing a preview of your current home network. You can connect or disconnect to the internet quickly from here and have a quick overview of the connected clients. Besides, connected USB devices can be safely removed on this page as well. 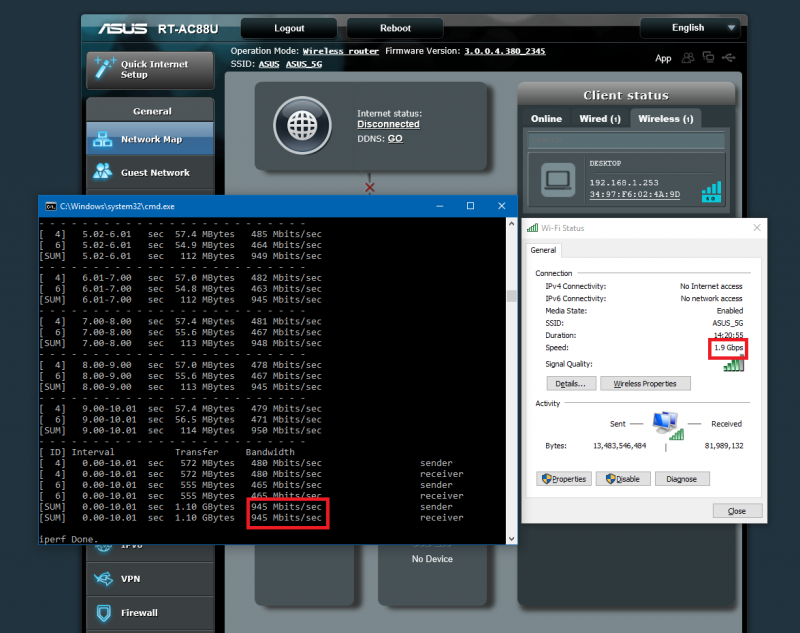 There are a lot of built-in features on the RT-AC88U and Asus provide frequent update to improve the firmware of the router. This is a smart home router where it protects you and offer many features. 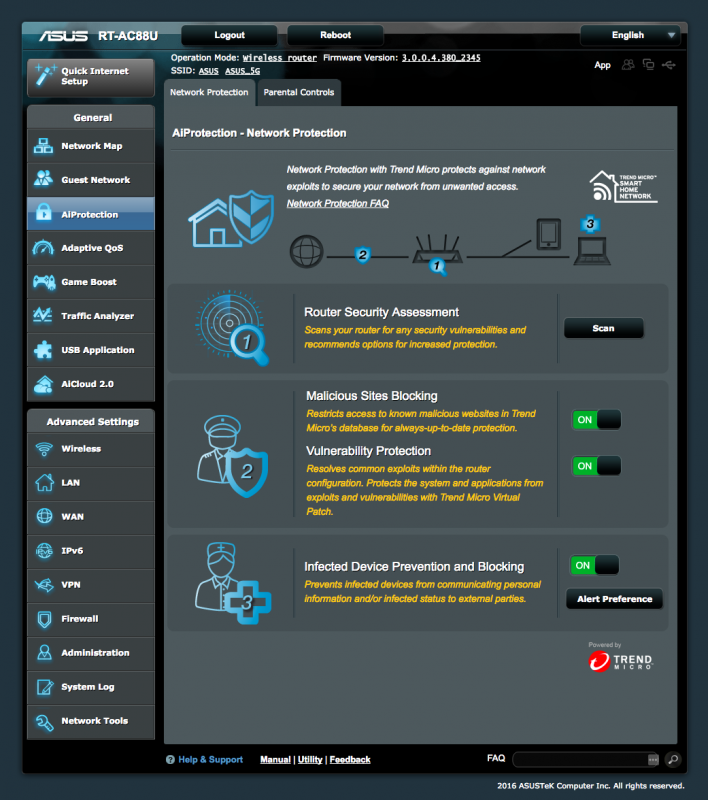 The built-in security suite named AiProtection protects your devices from malware and it works quite well. Harmful websites are filtered by the router and a warning will be shown whenever a user try to access it. Asus signature drag and drop Adaptive QoS is here as well. It works really well on a congested network and you do not need to manually configure anything. It just works! You can configure which client to prioritise by dragging the priority level into the client. Besides, it allows easy visual tracking of which user is using the internet so you know who is abusing the network. There’s even an option to look at what content the users are browsing via the App Analysis feature. Asus market the RT-AC88U as a gaming router with several gaming features built right into it. It has a Gaming QoS rule to optimise your network for gaming. I find the gaming related features to work quite well. With the gaming QoS rule enabled, gaming performance is smooth even other devices are streaming content or downloading. 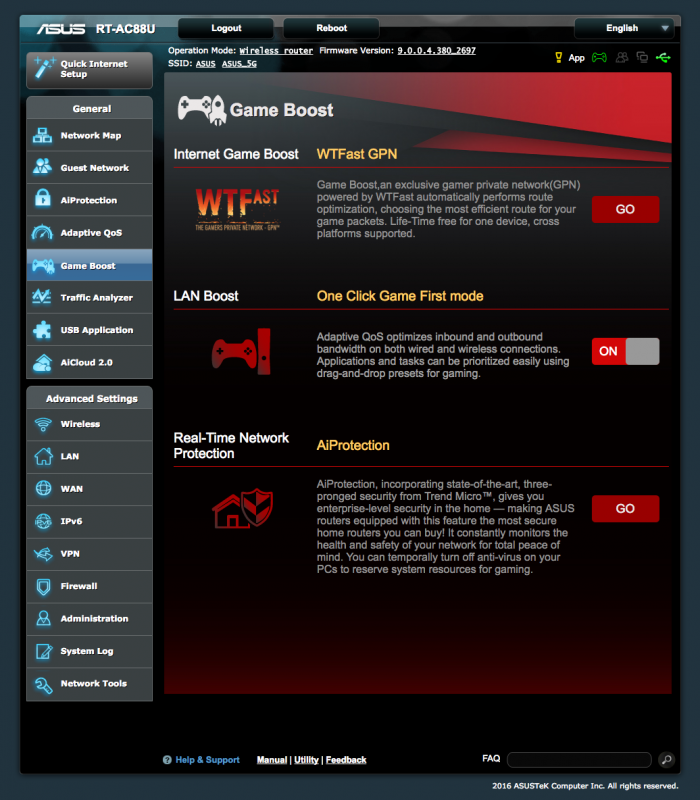 The WTFast game network allows you to have better routing to the gaming server. However, it is only useful for the foreign server. It won’t make a difference for servers in the same region where the latency is already good. 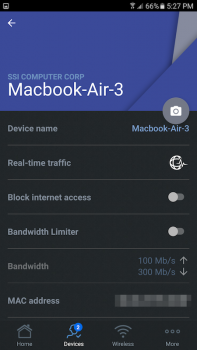 Lastly, I want to talk about the Asus router app. 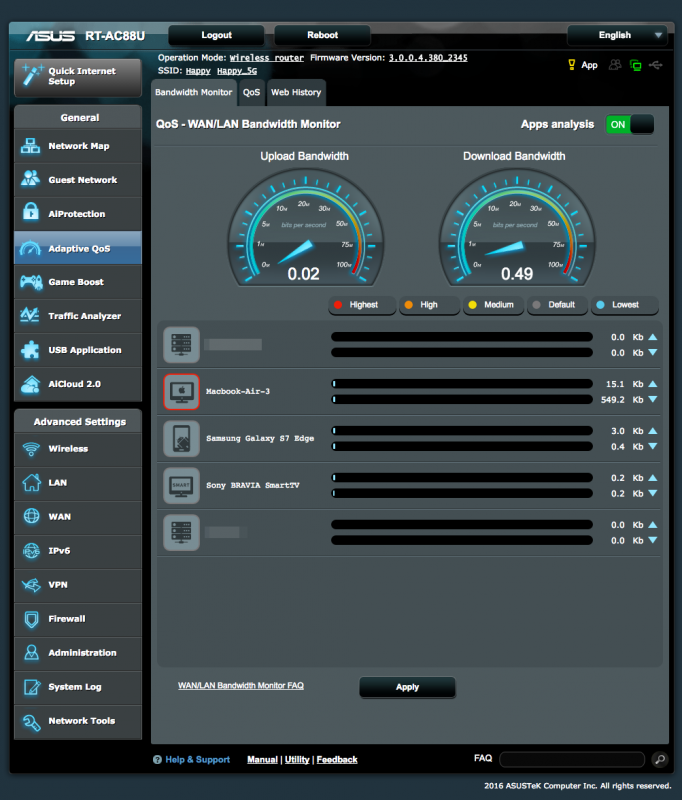 It allows monitoring the status of your router on your smartphone. A lot can be done via the app. I find myself checking the connected clients very often and using it to toggle game boost. You can even do some advanced stuff such as blocking a client or setting a bandwidth limit for a certain client easily on the app without need to open the web interface. 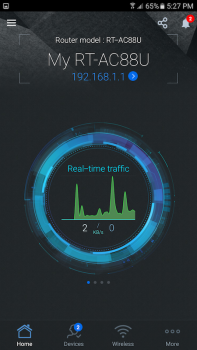 Kudos to Asus for a great companion app to the already great firmware of the router. Asus RT-AC88U is fully compatible with Unifi, Maxis Fibre and Time Fibre. HyppTV is working properly on this router. I highly recommend this router for Time Fibre users especially for those on the 500Mbps plan. There are 2 USB ports on this router. One of them is USB 3.0. 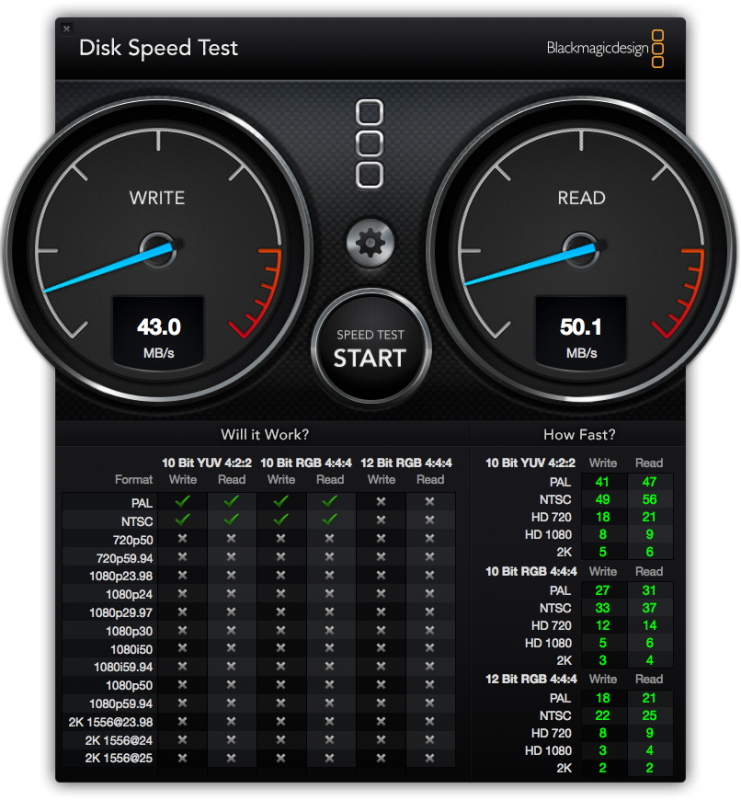 On a quick benchmark, I am able to achieve 43.0MB/s read and 50MB/s write with my NTFS formatted external hard drive. That is one of the highest I ever achieve over a router. You can share your files in your network over Samba and FTP. You can even stream videos stored in your USB devices from your smart TV over DLNA and there’s even the Apple Time Machine function. Asus RT-AC88U is able to download torrents via the built-in Download Master feature. The RT-AC88U is absolutely the best router you can get right now. The firmware is great and Asus support has always been great. The amount of features included is so extensive that this router can be a mini NAS. The performance as a router is absolutely amazing as well. Great wireless performance, good storage and coupled with the effective QoS. This is close to a perfect consumer router and I can foresee this being used in smaller office due to how easy it is to get it set-up and running. Who needs this router you ask? 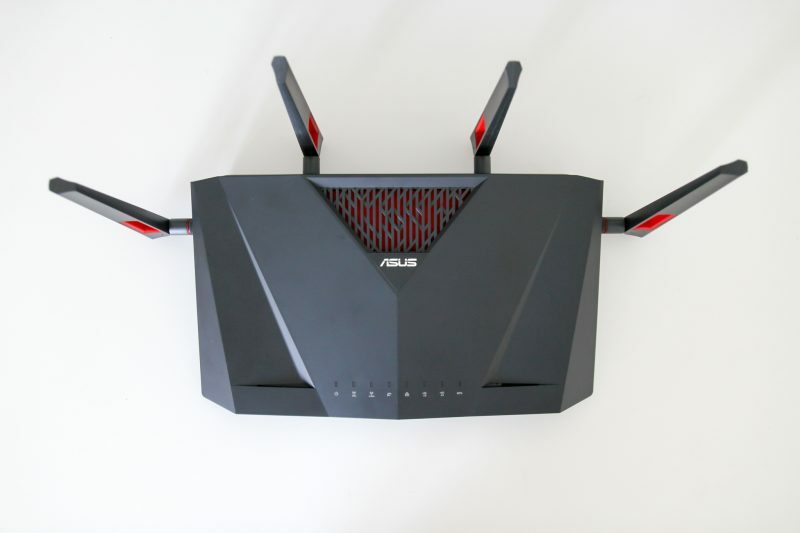 If you need the absolutely highest performance, this router is definitely for you. Lastly, what is the difference between this and the RT-AC5300 you ask? 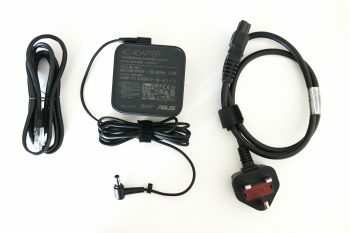 The RT-AC5300 come with a slower but 3 band wireless system. However, the RT-AC88U comes with 8 Ethernet LAN ports. They are pretty much neck to neck and I can say that the RT-AC5300 may perform slightly better. It looks more badass with the 8 antennas, octopus-esque looks. Yup, make sure you pair it with PCE-AC88. Hi, between RT-AC68U, RT-AC86U, and RT-AC88U, which one is the best value for money? I also like that all 3 are compatible with the new ASUS AiMesh feature. Does is support 2.4g wifi on channel.13? 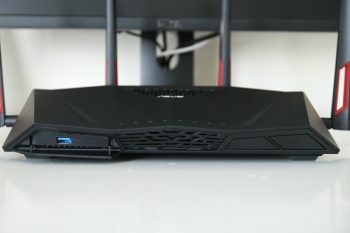 Hi… thks for the review, how about with HyppTV connection…using 4th Lan port or the 8th Lan port…is there any problem with HyppTV? If I remember correctly, it is the 4th LAN port. 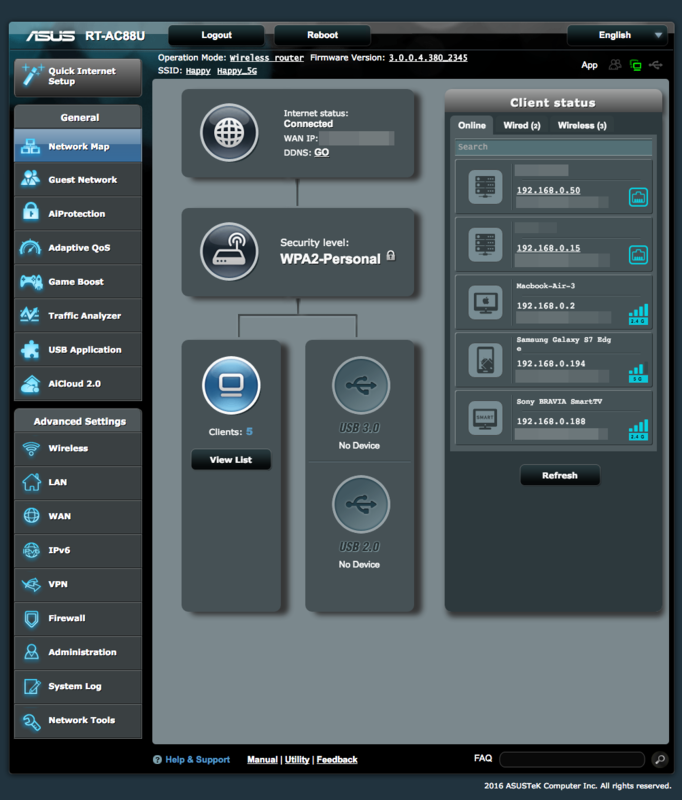 It is indicated in the user interface which LAN port you should use. No problem with HyppTV. Finally. <3 Was waiting this to be reviewed. Is this futureproof and will u recommend for unifi or is it overkill? 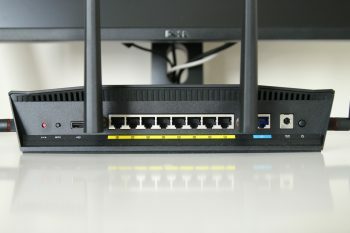 This is a great replacement to the RT-AC68U which lasted for many years and still a really powerful router today. It is not overkill considering it guarantees you absolute best performance.